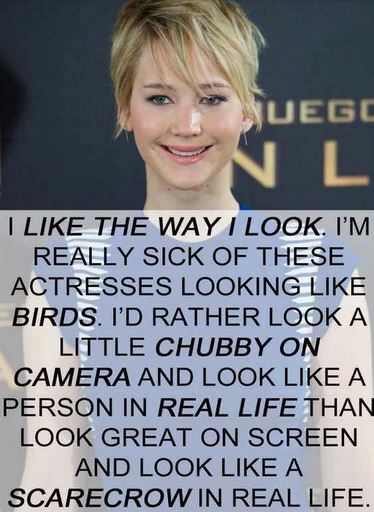 This is admittedly a non-standard Happy Exhaustion post, but when I found myself down a magical rabbit hole of Jennifer Lawrence Body Positive statements, I had to share. Aim for happy and confident. Eff life as a scarecrow. When your mind is set and your feet are pointed towards healthy & strong, then power, growth, and personal development are your companions. These companions slay the hunger, self-loathing & hollow fragility that are your bedfellows as you chase emaciated supermodel status. I will add more superstars with strong body image messages to Happy Exhaustion in the days to come. They deserve tracks in our personal narratives. 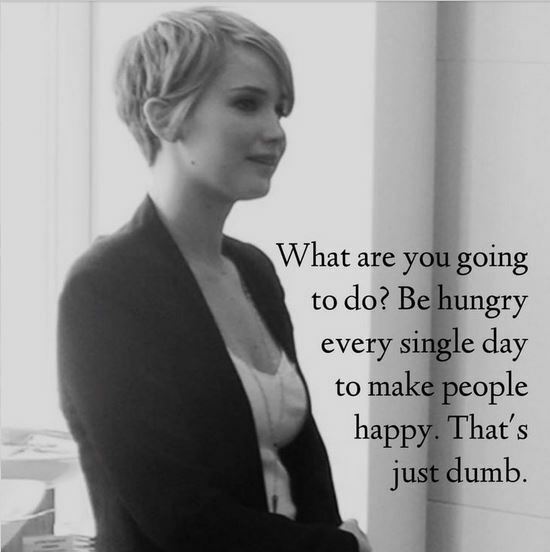 Thank you, Jennifer Lawrence. Thank you for advocating sanity.